Lupita, a budding actor and poet in a close-knit Mexican American immigrant family, comes of age as she struggles with adult responsibilities during her mother’s battle with cancer in this young adult novel in verse. When Lupita learns Mami has cancer, she is terrified by the possibility of losing her mother, the anchor of her close-knit family. Suddenly, being a high school student, starring in a play, and dealing with friends who don’t always understand, become less important than doing whatever she can to save Mami’s life. 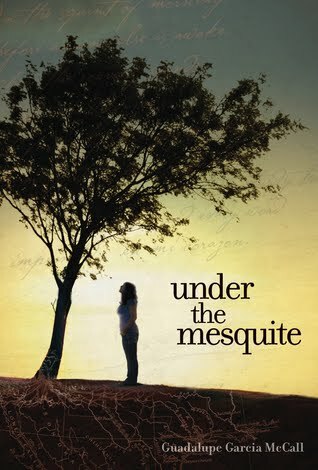 Under the Mesquite was broken into six main sections, each section breaking down into smaller chapters. I started it right before bed one night and as I was reading kept telling myself just one more section and I’ll go to bed, just one more, until I had read the whole book! One of my favorite things about this book was the time span. Very rarely do you get to see a character grow up throughout their entire teen years. This book starts when the main character, Lupita, is a fourteen year-old freshman and we get to see her grow up all the way through high school graduation and a little beyond. Lupita was a very strong, personable, main character. Being the oldest of eight siblings a lot of responsibility rests on her shoulders once her mother gets sick, forcing her to grow up fast. The one thing that was confusing at times were the names of Lupitas’ younger siblings. With the exception of her sister, Victoria, most of them are only mentioned a handful of times so it’s hard to keep them all straight. Another thing I really enjoyed was the author’s use of both Spanish and English; a lot of the chapter headings as well as everyday household words like mother, father, house, dinner, etc. were in Spanish. Having taken a year of Spanish in school, I thought it was cool to try and remember the words and see if I was right. Just to let you know, there’s a Spanish glossary in the back of the book, which would have helped a lot if I had found it before I finished, HAha! I’ve decided to end with one of my favorite quotes from the book. This entry was posted in 3 Hearts, Contemporary, Poetry, Review, Verse Novel, Young Adult and tagged Family, Guadalupe Garcia McCall, Lee & Low Books, Under the Mesquite. Bookmark the permalink. 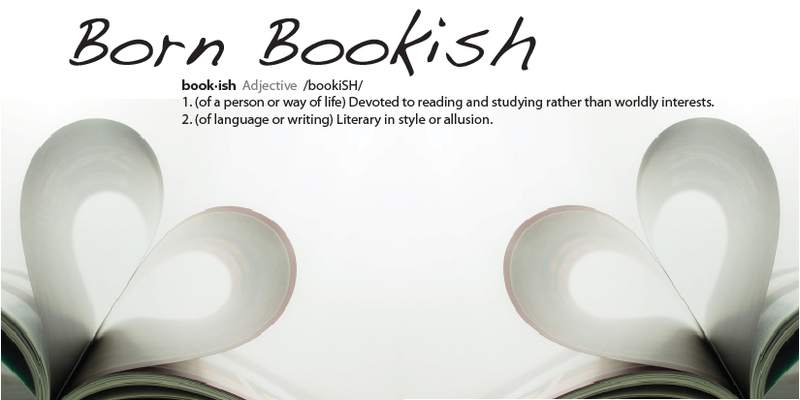 I also wonder why they never tell readers that there are glossaries at the end of books. That's a great quote! Makes me want to pick up the book. Nice review! You reviewed it — great. I like that the author uses Spanish in the book. But, was surprised you only gave it three hearts. The character sounds so strong. Nice review. It took me awhile but I finally did! The author's integration of Spanish was definitely one of my favorite things about it. It gave a deeper understanding of the family's culture. I gave it 3 hearts because I just didn't connect with it as much as I would have liked, but it's still a really good book.